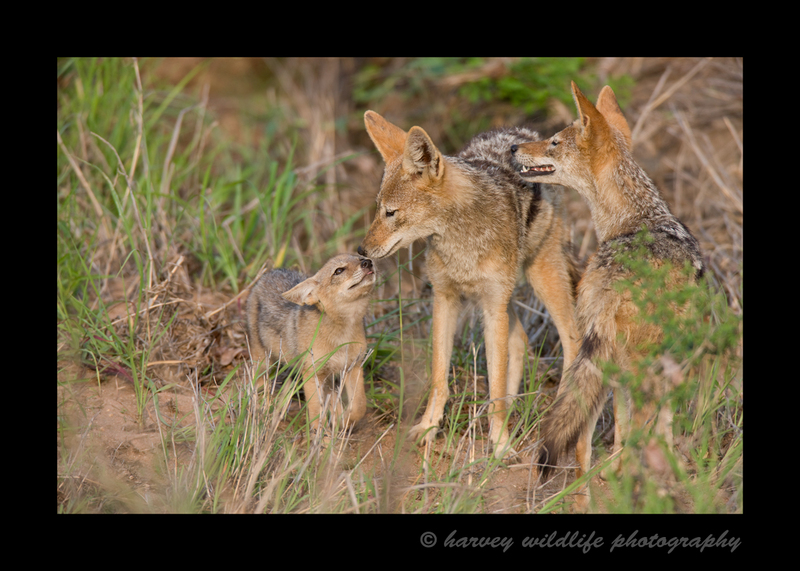 I saw this black backed jackal family from across a field about 50 meters away. I noticed that something had caught their attention in the bush, so I focused on them. Seconds later a baby came running out of the bush to greet mom and dad. The baby was left in the safety of the thick brush while his parents were out hunting. This family greeting is one of my favourite pictures.